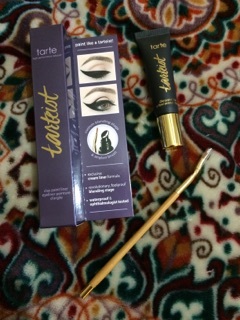 Next up we have the Tarteist Clay Paint Liner & Liner Brush. 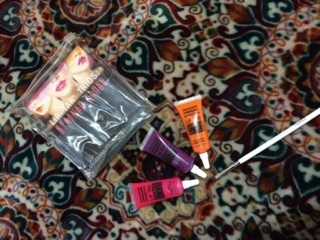 Now we have an OCC Lip Tar-Stained Gloss set! I was very excited to try these guys after hearing all of the wonderful reviews on them. 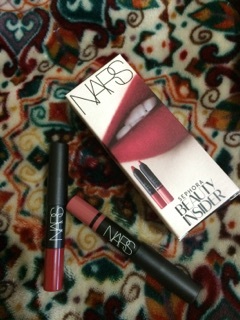 I also heard they were quite messy during application, but i just had to purchase them. 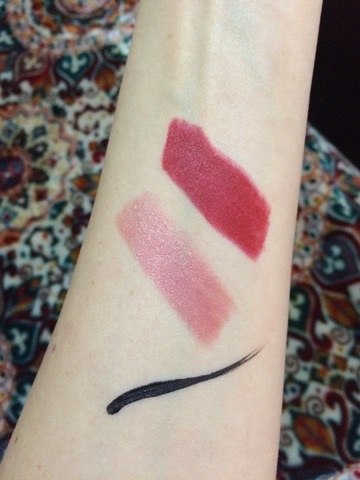 I have NEVER been into lip palettes, or any lip product that requires a finger/brush to apply. I definitely prefer lipsticks. BUT, i am super happy it’s a very cute little set and these shades are SO me! So let’s try them out! The first two i showed applied how i would have expected them to, judging by the bold pictures on the package and other peoples detailed reviews. Unfortunately, my favorite purple lip tar ended up being my LEAST favorite, because it was not opaque at all and i wasted a lot of product trying to layer it on. SO, i would say go ahead and buy this set on Sephora’s website while you can. 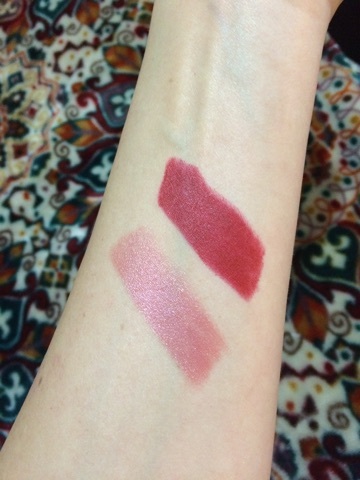 Two of them behave really nicely on the lip and have great color pay off, only one was a dud. But even though the purple one wasn’t opaque, it still looks nice it just looks like a transparent/purple gloss. These smell very very minty. 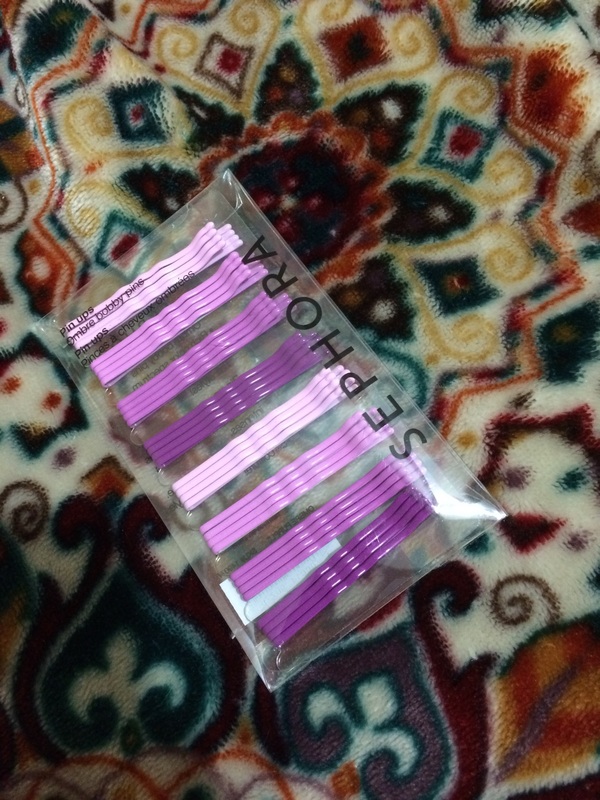 The next item i bought was a pack of purple shade ombre bobby pins! I thought these were pretty cute and i loved that they did the shade transitions, you could put the different colors right next to each other wherever you are pinning your hair and it would be really cute ;D Pretty sweet and had different colors choices as well. That’s all for the haul! 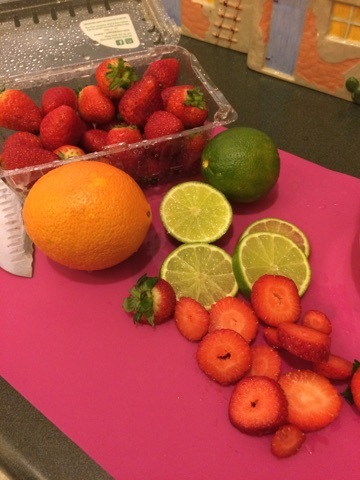 😉 Now i have an awesome detox water recipe to share with you all, i used oranges, strawberries and limes. 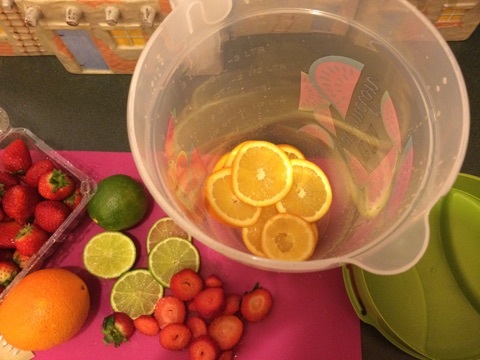 So, i started out by slicing up one orange very thinly, and saved about half of it to squeeze the fresh juice into the bottom of my pitcher. 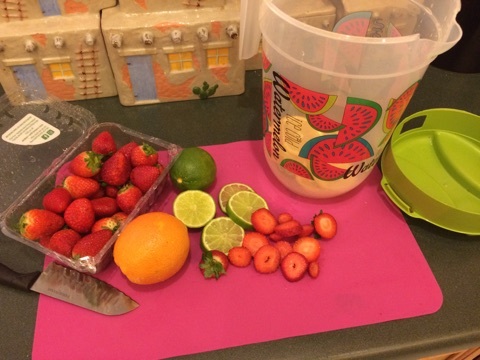 Next, i rolled a lime on my counter top to get the juices flowin’, then i sliced that up thinly and saved less than i did for the orange and squeezed it into my pitcher. After that i added most of that container of strawberries except for about 10, sliced thin. With long wooden spoon i lightly smashed the ingredients in the bottom. After that i added enough water to fill my pitcher not completely to the top. 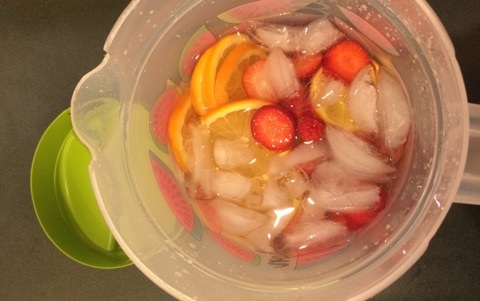 Lastly i mixed it thoroughly, added water and ice cubes, and popped it in the fridge! 🙂 It takes a day for the flavor to hint the water, and when it does you will be pleased! 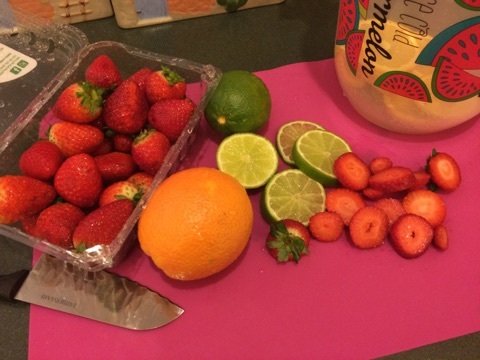 I loved this and came up with it while i was at the grocery store shopping, super duper simple and good for you drink that has some awesome flavor. You should give it a go! Thank you all so much for reading, i am going on vacation tomorrow and will be back to blogging soon! I hope you all are happy and healthy and enjoyed this post 🙂 Leave comments & thoughts for me to read!